Dazor's Circline Dual Clamp Mount Magnifier is the ultimate low-vision tool for providing the perfect amount of magnification (3.75X) with abundant, shadow free light. Dazor Circline Magnifiers provide abundant, even and shadow-free light over a broad surface. 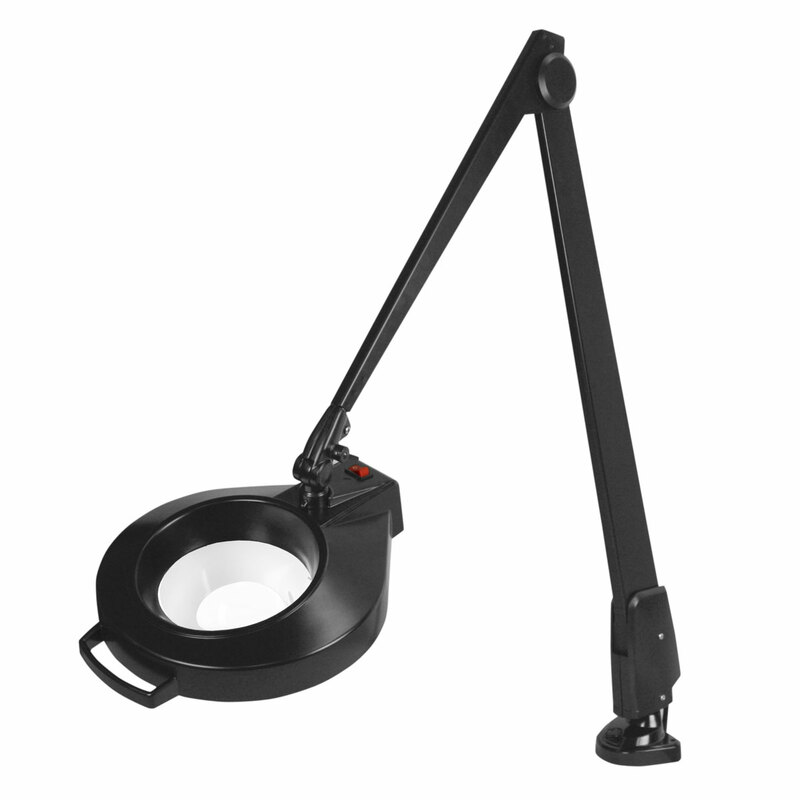 This 11-diopter Dazor Magnifier features Dazor's patented 42" contemporary-style floating arm for smooth and easy positioning of the lamp to any position, electronic ballast for greater energy-efficiency, sturdy horizontal dual clamp mount, and durable powder-coat finish. This low-vision magnifier also includes a protective polycarbonate plastic bulb shield and a 5-year warranty.